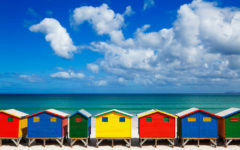 CAPE TOWN FOOD & ART: TRY THESE ECLECTIC OPTIONS! IF THERE’S ONE EVENING Cape Town’s art-lovers look forward to all month, it’s First Thursdays. Okay, not just art-lovers, such is the buzz created by this fun event. It started in 2012 with art enthusiasts and quickly became a beloved regular on the city’s nightlife calendar. So here’s the deal: on the first Thursday of every month, art galleries stay open late so that everyone can wander from one to the other enjoying the city’s cultural wealth. 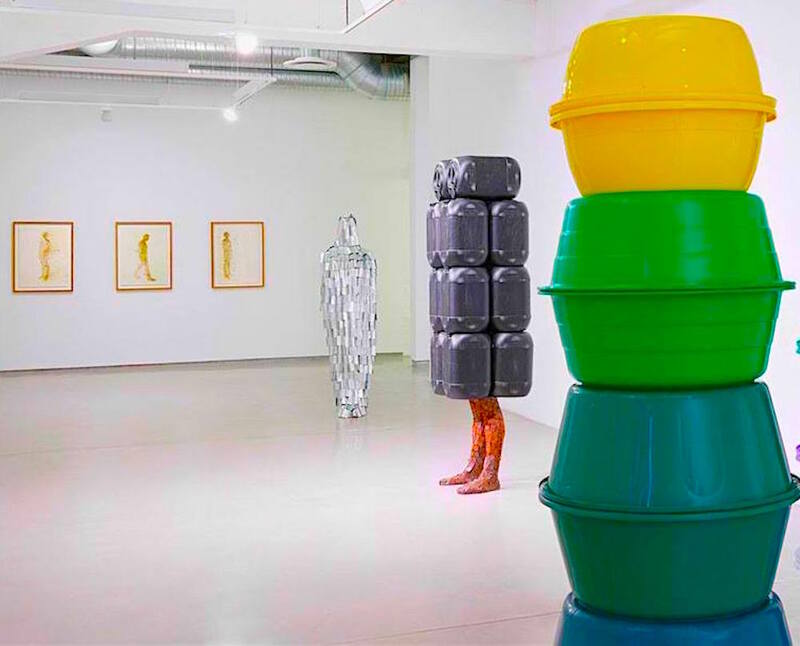 Gallery owners make sure they have their best on show for First Thursdays, and smart collectors use this opportunity to keep up to date with Cape Town’s thriving contemporary art scene. For those who like the story behind the art, artists are usually available to discuss their work. And after all those arty meanderings, a bit of sustenance is in order. Savvy shop owners now keep their doors open, and restaurants and bars pump up the waitron quotient. They’re not the only ones getting in on the buzz: look out for pop-up bars, food trucks and even art trucks. Chandler House on Church Street is a great place to start your meander, but get there early because it’s a tiny treasure trove and owner Michael Chandler is hugely popular. Galleries stay open until at least 9pm and often later. Check out First Thursdays on Facebook for more info, or view the full monthly programme here. Diarise the dates so you don’t forget! IF YOU HAVEN’T YET DISCOVERED Cape Town’s Eastern Food Bazaar and you’re not looking for fine dining, a vibrant treat awaits. Here the whole spice spectrum, from Bombay to Bo-Kaap, is served from 10 different kitchens. Whether you choose from the cuisines of India, Turkey, China or any of the others on offer, the food is delicious and enhanced by a souk-style vibe. Afterwards there’s a small range of natural ice creams to cool everyone off. Drinks are all soft: this is an alcohol-free establishment! 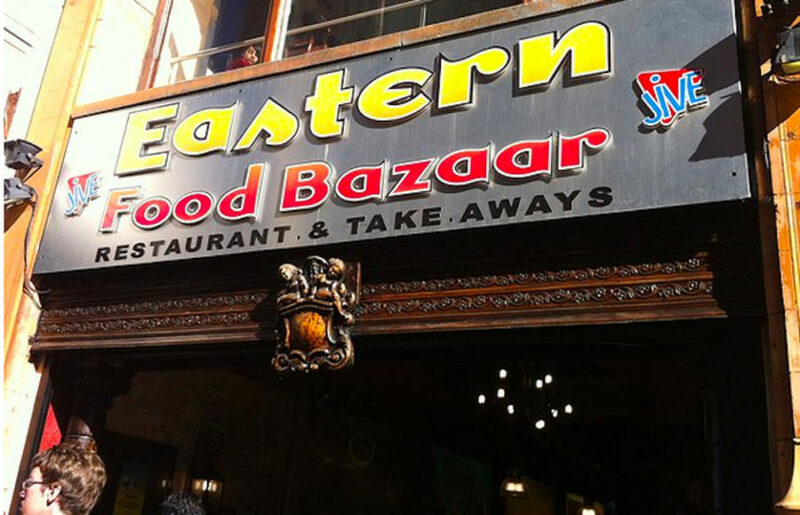 You’ll find the Eastern Food Bazaar at 96 Longmarket Street, down at the Foreshore end. They’re open daily from 9am to 10pm. Further details on its website. Go! Doesn’t this ticket stall make your heart leap a little? 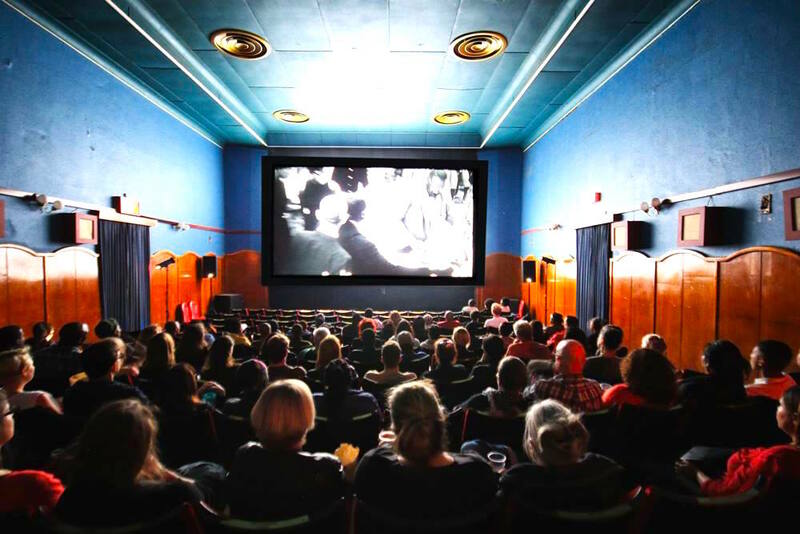 THE LABIA CINEMA, quite simply, is a Cape Town classic. It’s not so much the movies (arty to mainstream) as the quirk. For a start, there’s the faded 40s glamour of a building that used to operate as a ballroom for the Italian embassy. Then there’s the ever-unchanging ticket lady, Michael Jackson-lookalike usher, popcorn diva and friendly man selling drinks of most persuasions: all faithfully there night after night. On top of which is the laid-back generosity of the place. No-one bats an eyelid if you take in a drink or two to quaff with your film, in fact you could probably get away with importing an entire picnic: the place is far too chilled to trouble about such piffles. The Labia’s recently extended outside seating offers a buzzy place to drink a glass of wine and pontificate before or after the movie − or eavesdrop on others doing the same. And listen up, anyone looking for a cost-effective date or adventure: on Mondays and Tuesdays, R110 buys you two movie tickets plus two pastas beforehand at nearby Society Bistro. That’s R55 per person for pasta and a movie! Does the arty life get better than this? Budget-friendly tie-ins with further restaurants are available on most other nights of the week. And fear not, while the ambience is shabby chic, crowd funding by devotees helped The Labia go digital not that long ago so you’re not missing out on superior picture and sound quality. You can also now book tickets through Webtickets to ensure your seat. Check out the programme online and book something now: everyone should go to the Labia at least once in their life, and when you do, it’ll probably hook you in permanently. PS Yes, .we know that visitors raise an eyebrow at the cinema’s rather… unusual… name. Just to put your mind at rest, it was opened as a theatre in 1949 by one Princess Labia. LIVING IN CAPE TOWN AND KEEN FOR ORGANICS but exhausted by the prospect of tracking them down? 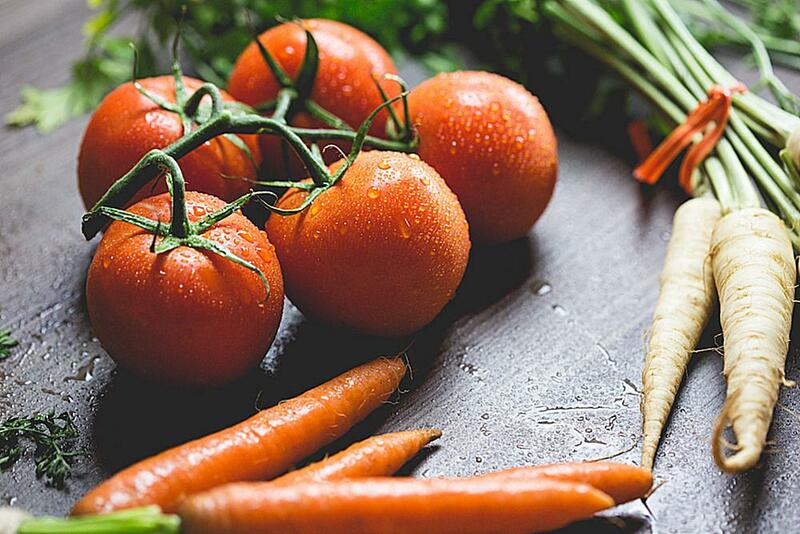 Ask Farmer Brian to bring fresh, local organics directly to your door – or somewhere close. Ok, so it might not be Brian himself scattering organic offerings around the suburbs every time, but you will be getting fresh produce from a group of independent, local farmers and artisanal food producers in Cape Town who love what they do and have committed to eco-friendly practices. No pesticides, herbicides, GMOs, etc, and all livestock are treated ethically and humanely. Or so they say, and we actually believe them. Request (by email or Whatsapp) freshly picked seasonal fruit and vegetables, free range eggs, organic hummus and sprouts, free range lamb and more each week. All produce is harvested directly from farms (most of it from Brian’s own farms in Lentegeur and Stellenbosch), and delivered within 24-36 hours to various collection points. 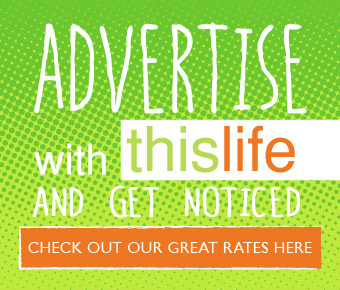 Or, for a smallish fee, right to your door. 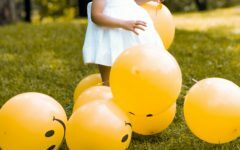 3 THINGS TO MAKE YOU HAPPY!